Are Solar-Powered Airplanes on the Horizon? Will your next flight be powered by the Sun? What's the future of solar-powered airplanes? Renewable energy is reaching new heights. The first solar-powered airplane took off in international skies, but it may not be too long before these planes become the standard choice for saving fuel in America and beyond. 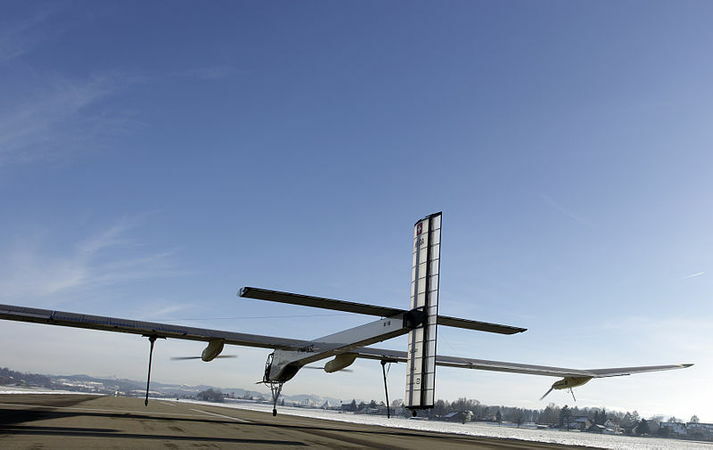 The aircraft, created by Bertrand Borschberg and Bertrand Piccard, made its debut in the United Arab Emirates. For many, this came as somewhat of a surprise. UAE is one of the world’s major sources of oil. In fact, UAE produces the 4th highest amount of oil in the world on average, which is not a place you’d expect innovation in the field of solar energy. Nevertheless, the custom aircraft Borschberg and Piccard engineered was delivered to Masdar City, a planned city built to show off clean-energy’s true potential. Masdar City is located relatively close to the main airport in Abu Dhabi, which is where the solar powered airplane took off and landed on January 22, 2016. Let’s take a look at the aircraft, its journey, and what this may mean for the future of airline travel. Dubbed the Solar Impulse 2, the solar powered aircraft began its journey on March 9th, 2015 without conventional fuel. The plane then made its journey with a total 17 pit stops. The longest route for the solar-powered plane was the distance between Nagoya, Japan, and Hawaii. A total of 5 days and nights were spent in air, without fuel. In total, he pair of pilots took turns flying over 26,000 miles in the solar airplane. This distance covered over 4 major bodies of water and 4 continents. Bertrand Piccard, first person to fly a balloon around the world, had the honor of piloting the Solar Impulse 2 during the last leg of the voyage. This last stretch lasted a total of 48-hours as the solar aircraft journeyed from Cairo, Egypt, back to Masdar City. Needless to say, the Solar Impulse crew and pilots were ecstatic. Total time in hour was approximately 23 days. All without the help of fossil fuels. And it’s a good thing too. The global aviation industry is responsible for 2% of all human-induced carbon dioxide emissions. It is important to note that the single-seater aircraft can only go about as fast as a car. And it is super lightweight too. The Solar Impulse 2 weighs roughly the same as an average sized SUV. Because of this, solar-powered commercial aircraft for passengers and freight are years away. But like the Wright Brothers, this is just a sample of what’s to come. One of the few traits the bird does share with a commercial aircraft is its wingspan. Which is similar to that of a Boeing 747. And there is good reason for that. The craft’s solar panels are installed there. These 17,000 some odd cells are the only source of energy for four electric engines. Together, the cells and engines not only keep the small aircraft afloat, but offer modern conveniences, such as autopilot. Other nice features include a bathroom and the ability to recline the seat. Which is great for napping as you fly by renewable energy. The one-seater may not be commercial viable in the next few years, but the aviation industry may be green before you know it.